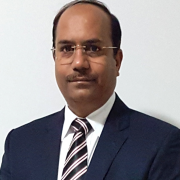 Naresh is highly experienced finance professional having worked at middle and top-level management in large/listed businesses in India and Australia. Naresh has strong domain expertise with applied knowledge in the areas of finance, accounting, audit, internal control, risk management and corporate governance functions within the broader businesses in service sector. In ECA group, Naresh is responsible for overall supervision and control of Finance, Accounting, Internal Control, Group Budgets, Treasury Management, Secretarial Matters, Audit and Tax including long term corporate finance strategy and special projects for business expansion. Naresh is Bachelor of Commerce and qualified Chartered Accountant from India and a CPA from Australia; he also completed professional Diploma in Stock Broking from Deakin Prime and SAA. Naresh is also fellow member of Governance Institute of Australia (FGIA) and member of Australian Institute of Company Directors (MAICD).